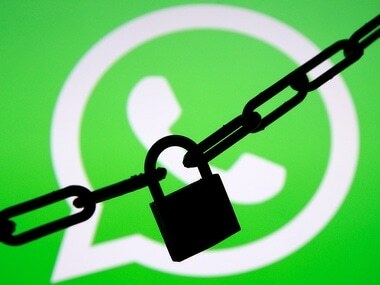 The cryptographer said that disruptions in WhatsApp services had begun on 20 September and was 'comprehensively' blocked on Monday, 25 September. Security experts have confirmed that China has blocked popular messaging platform WhatsApp in its region. Users of WhatsApp in China have faced interruptions over the past few months as users were barred from sending or receiving images and videos, but the current ban has been confirmed to apply to text messages as well. Nadim Kobeissi, an applied cryptographer at Symbolic Software confirmed to The New York Times in a report that the service was affected in the country and it included text messages as well. “This is not the typical technical method in which the Chinese government censors something,” Kobeissi said. The cryptographer who works at a research start-up based out of Paris also added that the ban on text messages on WhatsApp could mean that China's censors have developed a specific software to interfere with these messages. According to Kobeissi, disruptions in the messaging service had begun on 20 September and was 'comprehensively' blocked on Monday, 25 September. The country has had a history of blocking social media websites with the likes of Wikipedia, Twitter, Facebook, Instagram and a number of Google's services. The New York Times report states that video chats and other modes of file-sharing on WhatsApp were being blocked in mid-July but text messages were allowed to be sent. The report pointed out that despite the ban, a number of services provided by American tech companies like Microsoft's Skype continue to run, though Skype does not provide end-to-end encryption. Apple's FaceTime is also allowed which despite having end-to-end encryption, does not let secret codes to be exchanged between users which WhatsApp uses to remove the occurrence of what is termed as a 'man-in-the-middle' attack. The Verge, in an another report cites that the Facebook-owned messaging service's use of end-to-end encryption to secure chats could be the reason behind the ban, while it also coincides with the 19th National Congress of the Chinese Communist Party. Existing chat services in China like WeChat are pledged to provide the Chinese government user personal data which could be a reason that allowed WhatsApp to be picked on. WeChat with 963 million active users, however, would look to thrive on the ban as WhatsApp was one of its few remaining competitors in the Chinese market. Perils of reporting on censorship in China: A day after everyone reported WhatApp was blocked, it appears to be working again. There are hints, however, that the ban could be a temporary one as Josh Chin, a political reporter for the Wall Street Journal in Beijing, updated on the ban stating that the messaging service is supposedly back up. The reporter took to his Twitter handle to inform followers, a morning after it was reportedly banned.